Vino Santo is a traditional wine production in Trentino, especially in the Valle dei Laghi. Since 200 years ago, the Nosiola grapes are traditionally dried and vinified during the Easter week. It's a precious wine which has a great aging potential. 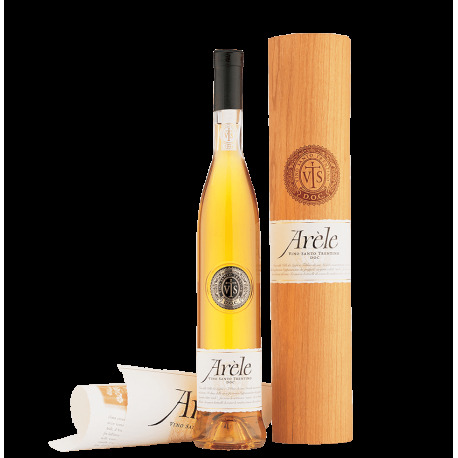 Bright golden yellow in colour, Arèle has an intense, complex nose with hints of nuts, especially almonds and walnuts, and honey. On the palate it reveals great balance between the alcohol and residual sugar and a particular richness in the mouth. Valle dei Laghi situated between the mountains at the foot of the Dolomites and connecting Trento to the northern shores of Lake Garda.